Triangular base prism of irregular sides and whimsical curves; both sides overlap at their upper end, where the handle begins, to end in one of the bases vertexes. It is only is worn on the right. 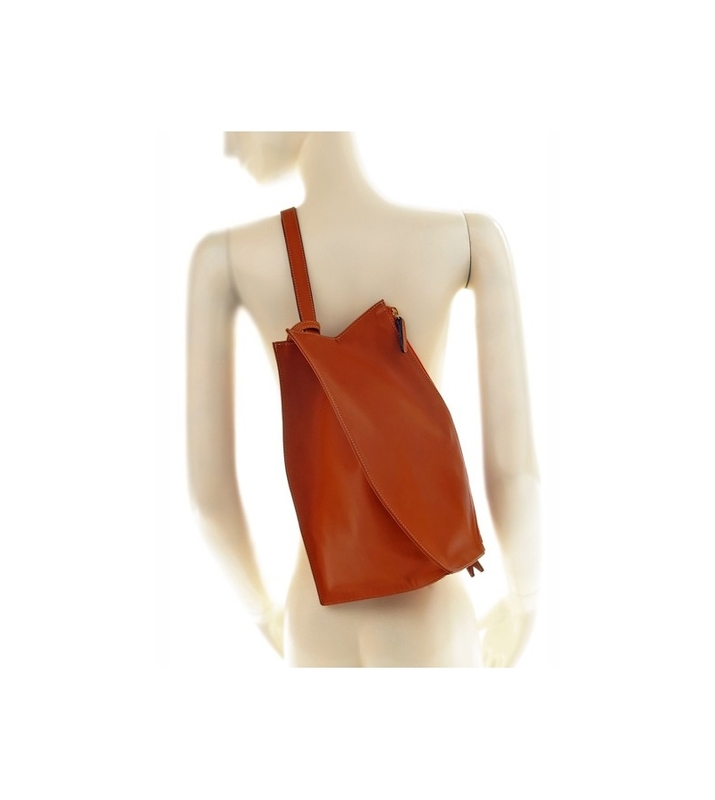 To wear it on the shoulder the handle is shortened and the bag fits under the arm. History A different public, younger more dynamic and practical, sets demand. 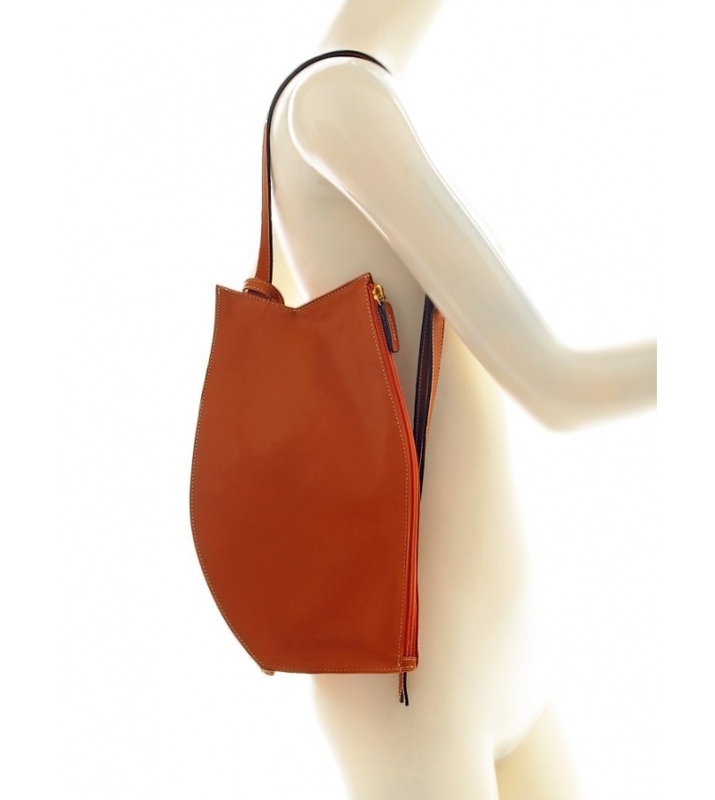 The bag must be a useful, modern and original accessory without compromising the leather, quality and design. 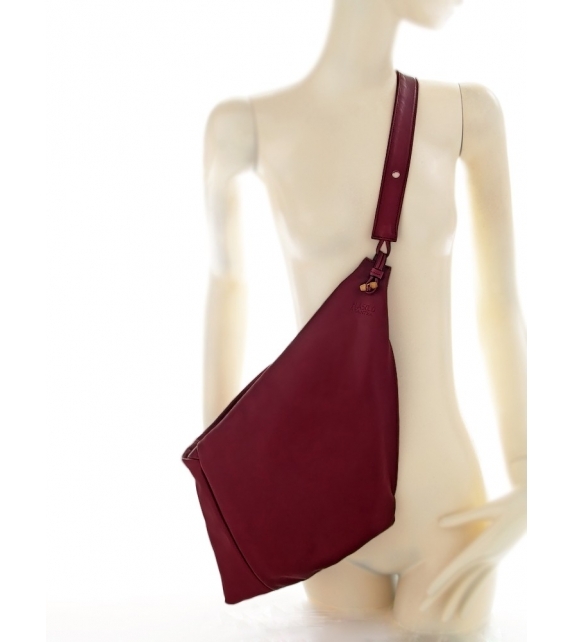 Thus this family of Carjac bags is born for a hand-free public that rides bicycles, motorbikes, has children. Our collection was launched at the 1998 ARCO international art exhibit in Madrid, and its breakthrough character was a major success that still prevails. 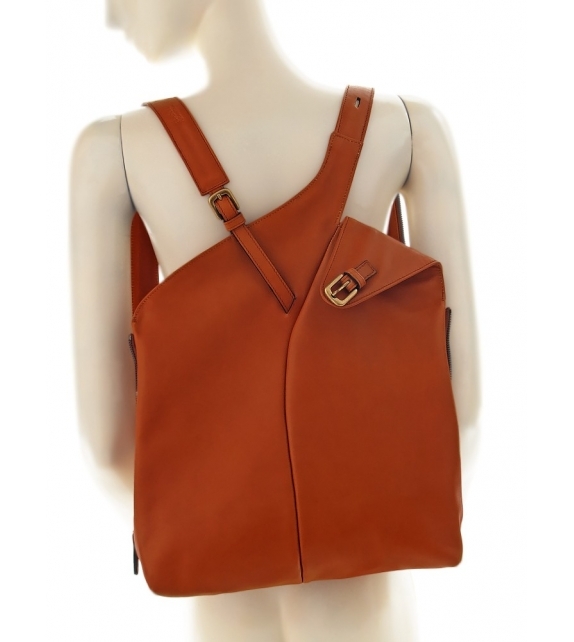 The collection Carcaj bags: One or two-handle backpacks or messenger bags. 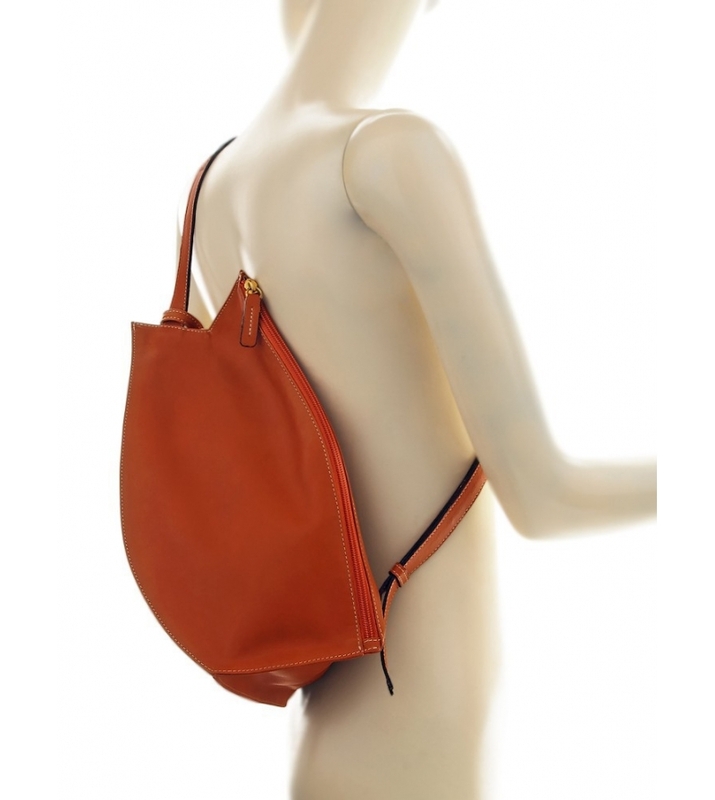 They are accessed with a single gesture: by pulling the handle to bring it forward. 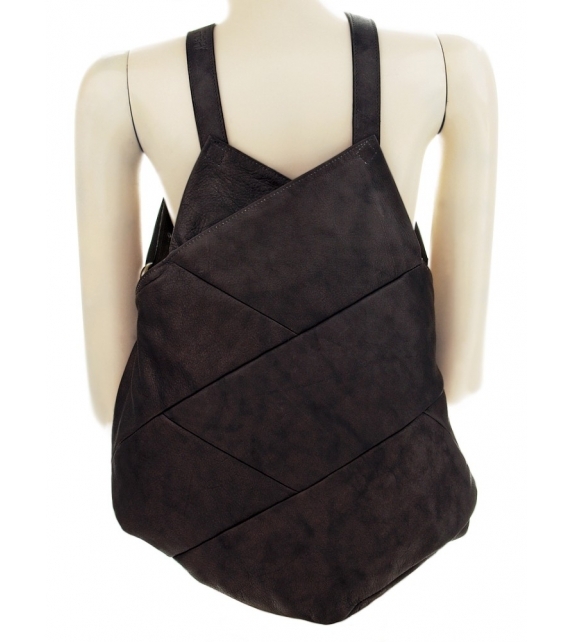 Once placed in horizontal, the zipper opens from side to side for a good interior visibility. 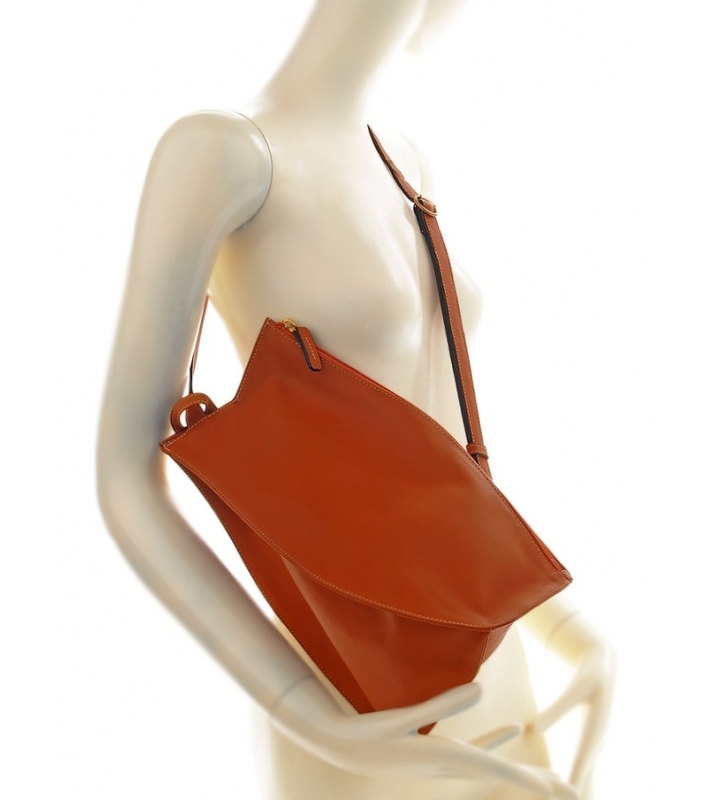 Handbag made of two previously twisted cones joined at their bases. 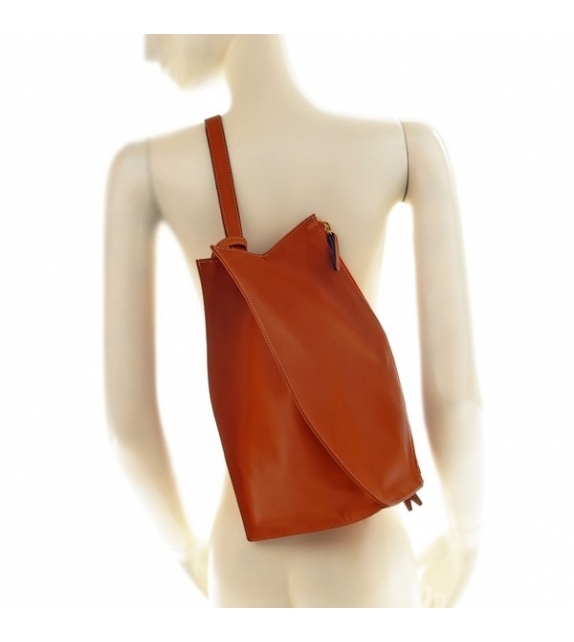 It has a leather-wrapped ring at one end, where the bag goes through to be held as a purse. 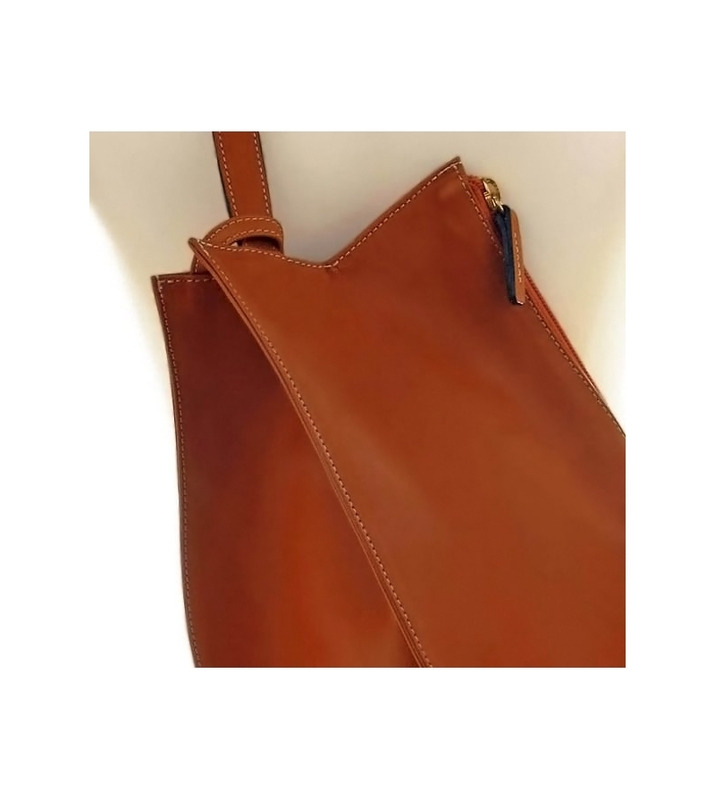 To do so, the handle must be fully removed by unfastening the pins and folding the bag in half, holding it back again with the pin. Average capacity bag. 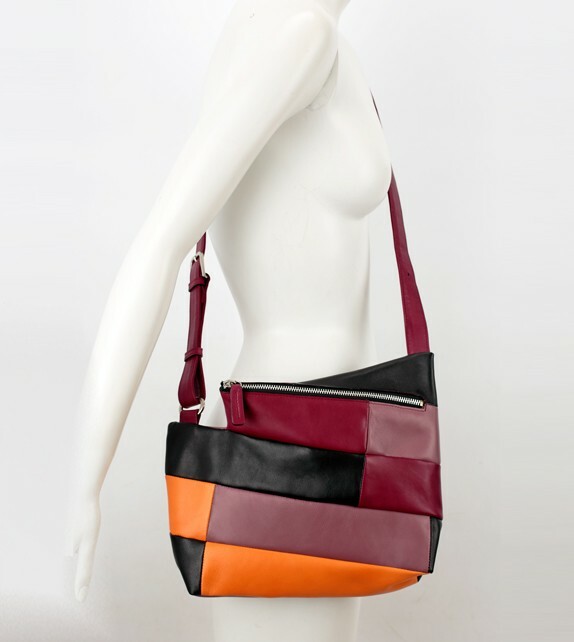 The path made by a strip of leather fragmented into different color segments, creates the bags volume and its outside pocket with a zipper. Small but great capacity bag. 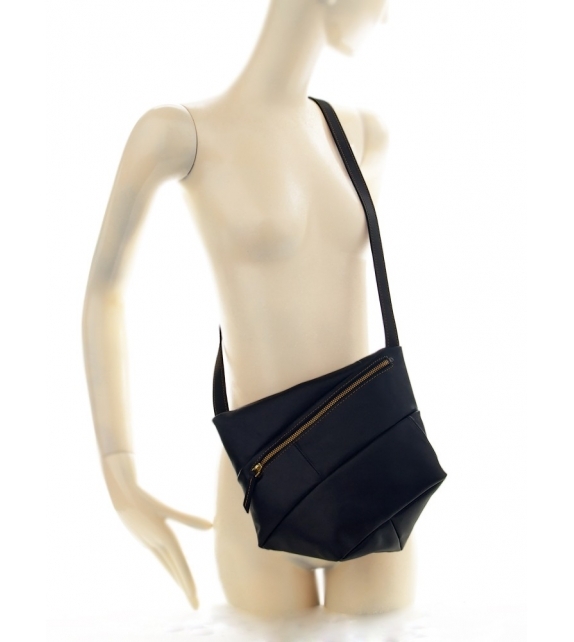 The wide and short strip segment proportions make this a small but wide base bag. It has an outside pocket and one for the cell phone inside.